Many of our grills made in the last couple of decades feature what we call casters. 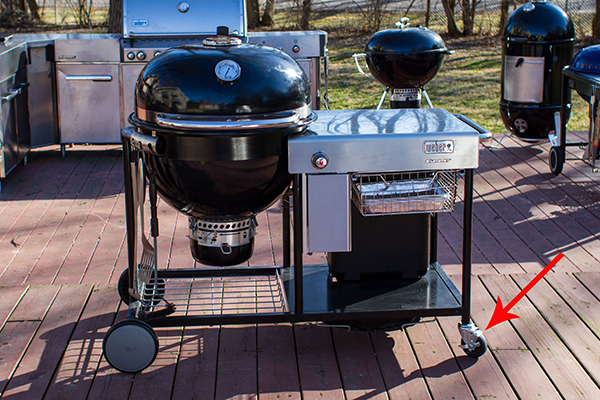 Casters are basically just wheels that attach to the frame of the grill and they come in two basic types. Non-locking and locking. Non-locking casters swivel and roll in any direction and are usually located on the rear of the grill. Locking casters also swivel and roll in any direction, but they have a small tab on them that can be moved up and down. When the tab is pressed down the casters lock into position and will not roll. This is a great feature for making sure your grill stays in one place when you’re using it, when there’s a strong storm, or if someone or something bumps up against the grill. Some of our newer grills, such as the Summit Charcoal series, feature a different type of caster, which can be seen below. 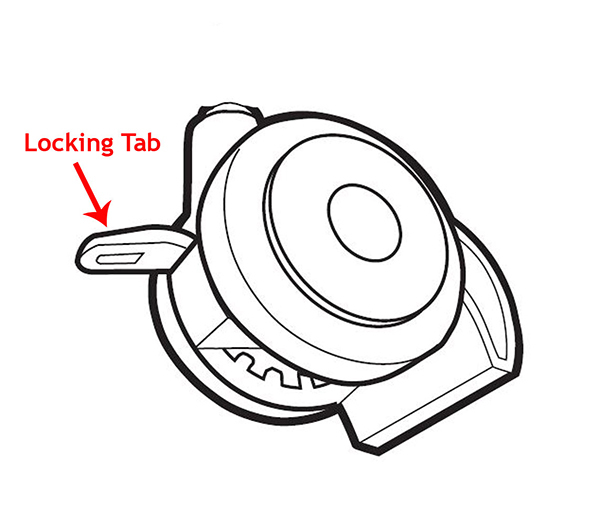 The basic function remains the same, but instead of using a tab to lock the caster in place it features a small lever that’s pushed up or down. So if your grill has locking casters, keep your grill safe by keeping them locked!